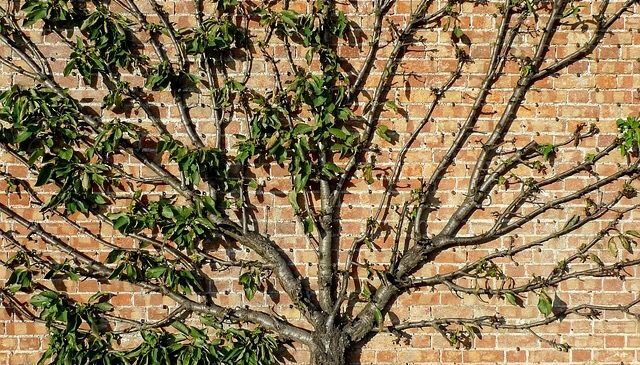 Why You Need To Hire An Arborist To Prune Young Trees - Tree Lopping Logan A lot of people do not realize how important proper pruning is, particularly when the tree is still young. When you do this incorrectly, you will cause more harm to the tree and could eventually kill the tree. If you are not going to prune your trees correctly, it would actually be better for them to not prune them at all. It is important to note that every tree will have different pruning need. The pruning techniques for a spruce will be very different to that of an oak tree. This is something that arborists understand and they will be able to determine when the pruning needs of your young tree are. Young trees actually have very particular pruning needs that arborists will know about and be able to implement to ensure the trees grow correctly. Tree Pruning Is Actually Dangerous When you have a young tree, you might not think that pruning it is very dangerous. This is particularly true if the tree is not very tall. However, all tree pruning is dangerous if you are not doing it correctly and not taking the correct safety precautions. Professional arborists are trained in safety measures to ensure that they and all bystanders are safe when they prune a tree. Arborists will also have training in using the tools of their trade and this ensures that they are not injured. They will also be able to limit the damage which is done to any property by the pruning. Training Young Trees Pruning young trees is important for a number of reasons with one of the primary ones being to train them. Training your tree will ensure that it grows in the manner that you want and will not cause problems to the property or other objects around it. This could be the roof of your home or the telephone wires running close to where the tree has been planted. Training young trees is also important to ensure that they grow stronger. A strong structure is required to have a strong adult tree and this is achieved while the tree is young. Training the tree correctly is best left to an arborist as they know how to do this in a way that will not harm the tree at all. There are many reasons why you should hire an arborist to prune young trees. Arborists will be able to prune the trees correctly which ensures that they are trained for strength. They will also be able to prune the tree in a safe manner which reduces the hazards of this process. When people think about hiring an arborist, they generally think they should only do this when something is wrong with their trees. Arborists are able to help with more than the removal of trees and the diagnosing of issues. While it is important to understand this, you also need to know why you should be hiring an arborist to prune your young trees. A lot of people do not realize how important proper pruning is, particularly when the tree is still young. When you do this incorrectly, you will cause more harm to the tree and could eventually kill the tree. If you are not going to prune your trees correctly, it would actually be better for them to not prune them at all. It is important to note that every tree will have different pruning need. The pruning techniques for a spruce will be very different to that of an oak tree. This is something that arborists understand and they will be able to determine when the pruning needs of your young tree are. Young trees actually have very particular pruning needs that arborists will know about and be able to implement to ensure the trees grow correctly. When you have a young tree, you might not think that pruning it is very dangerous. This is particularly true if the tree is not very tall. However, all tree pruning is dangerous if you are not doing it correctly and not taking the correct safety precautions. Professional arborists are trained in safety measures to ensure that they and all bystanders are safe when they prune a tree. Arborists will also have training in using the tools of their trade and this ensures that they are not injured. They will also be able to limit the damage which is done to any property by the pruning. Pruning young trees is important for a number of reasons with one of the primary ones being to train them. Training your tree will ensure that it grows in the manner that you want and will not cause problems to the property or other objects around it. This could be the roof of your home or the telephone wires running close to where the tree has been planted. Training young trees is also important to ensure that they grow stronger. A strong structure is required to have a strong adult tree and this is achieved while the tree is young. Training the tree correctly is best left to an arborist as they know how to do this in a way that will not harm the tree at all. There are many reasons why you should hire an arborist to prune young trees. Arborists will be able to prune the trees correctly which ensures that they are trained for strength. They will also be able to prune the tree in a safe manner which reduces the hazards of this process.